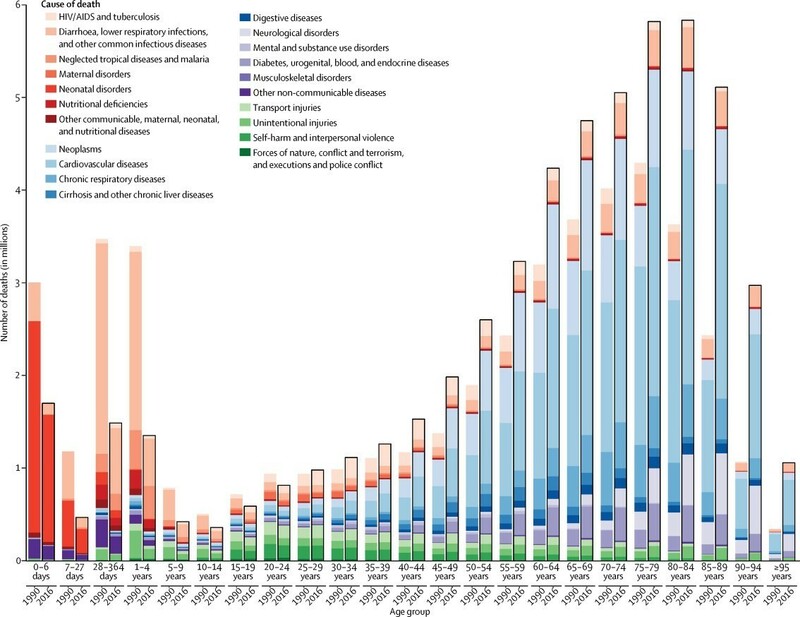 Almost three quarters of deaths are now from non-communicable diseases, as stated in the Global Burden of Disease report. Changing people’s behaviour and circumstances is proving more difficult than fighting infectious disease. And advances in life expectancy and well-being will continue to be compromised unless the world works out how to address behavioural risks effectively. These are the conclusions of this year’s Global Burden of Disease report – an enormous study which gathers data on some 330 diseases from 195 countries in order to analyse the world’s health. While there has been significant improvement in fighting infectious disease and other preventable deaths such as infant mortality, there is far less progress in the diseases which are caused at least partially by human behaviour. Almost three quarters of deaths are now from non-communicable diseases, with obesity and diet amongst the most significant contributors. Coronary heart disease is the leading cause of early deaths across the globe. Death is a powerful motivator to address diseases that have been killing us at high rates, says Dr Christopher Murray, Director of the Institute for Health Metrics and Evaluation at the University of Washington who led the study. “But we’ve been much less motivated to address issues leading to illnesses,” he explains, highlighting what he calls a “triad of troubles” – obesity, conflict, and mental illness. The good news is that mortality rates around the world have decreased across all age groups over the past five decades. For the first time, the estimated number of deaths in children under five fell below 5 million. 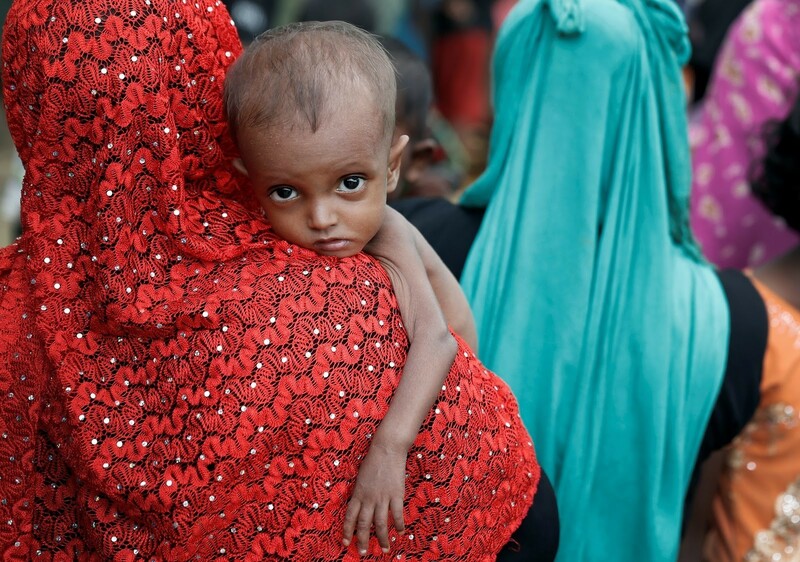 This is a dramatic drop from 1990, when 11 million children under the age of five died. Deaths from infectious diseases have largely decreased (with the notable exception of dengue fever). Lower respiratory infections, diarrhea, neonatal preterm birth, HIV/AIDS, and malaria have all declined by 30% or more in just one decade. These improvements are largely due to better education, reduced poverty, vaccinations, mosquito nets and improved water and sanitation, and can be attributed to the efforts of both the aid community and government organizations. However, these advancements are being offset by diet, with nearly one in five deaths worldwide being associated with poor diet. 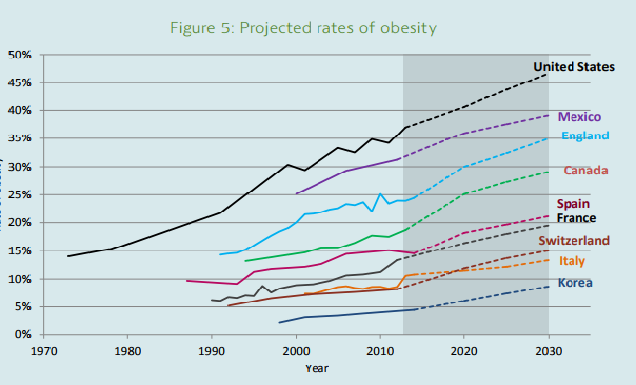 While obesity levels continue to rise, poverty as well as greed must take some of the blame: it’s not just overeating, but not having enough money to buy the right sorts of food, the researchers note. Since 2006, deaths from ischaemic (coronary) heart disease have increased by 19% globally. Diabetes caused 1.43 million deaths in 2016, an increase of 31.1% since 2006. And within the past decade, diabetes rose from the 17th to the 9th leading cause of death in low-middle income countries. The prevalence of mental health conditions globally is another area where progress is not being made, which in turn takes a heavy toll on the health of individuals and societies. More than one billion people in the world are living with psychological or psychiatric disorders and substance abuse problems in 2016. Major depressive disorders ranked in the top 10 causes of ill health in all but four countries worldwide. Mental health is something that impacts all countries, regardless of their socioeconomic status. And treatment – even in high-income countries – remains limited. The result is that the prevalence of the most common disorders has not changed. The last category that is causing a decline in the world’s health lies outside of the control of the individual; war, conflict or environmental factors. The largest increase in deaths from injuries was from conflict and terrorism which have doubled over the past decade. 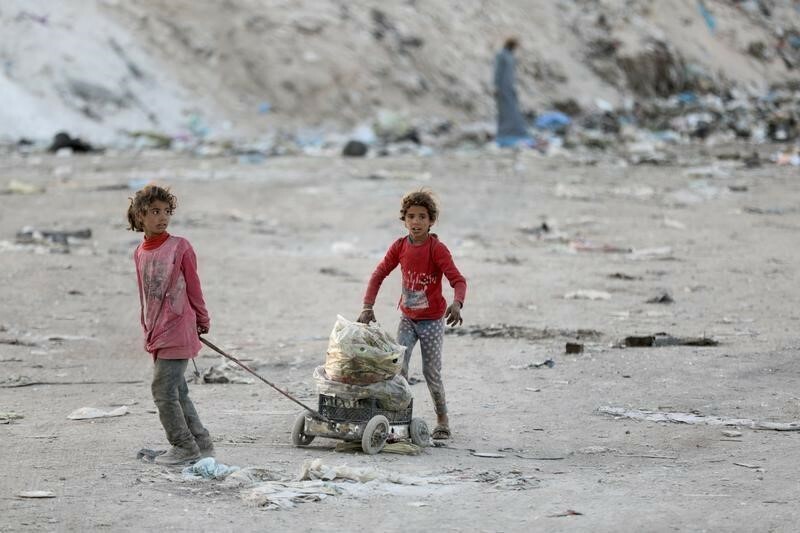 Life goes on for children in Syria, but for how long? Recent conflicts, such as those in Syria, Yemen, South Sudan and Libya, are major public health threats, both in regard to casualties and because they lead to long-term physical and mental health consequences. Such conflicts also lead to the mass displacement of people which in turn has an impact on their health. Going forward, the researchers want to investigate further and try to quantify the impacts of climate change on global health. The Global Burden of Disease Study is the most comprehensive study of disease in the world and is funded by the Bill & Melinda Gates Foundation.